wan life to live: take a selfie, win a prize! so on the way home from our fantastic road trip (which i'm still trying to finish recapping! 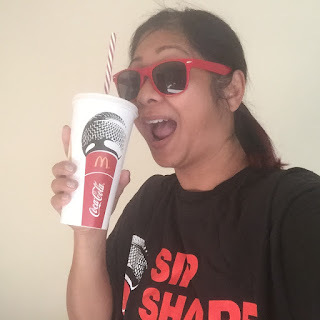 ), i heard from my friends at mcdonald's about a fun contest they're hosting with coke, shazam, and the late late show with james corden. did you catch his drive around the white house doing carpool karaoke with our fabulous first lady? it was so much fun to watch. the grand prize is a VIP trip to the late late show with james corden - that includes airfare, hotel and transportation, plus credit with stub hub for 1 concert a month for a whole year. they're also giving away weekly prizes of $250 stub hub credit. not too shabby, eh? if you don't want to share it, you can just upload the photo at the official website for the contest. there's also more details plus official contest rules listed there, if you're so inclined. the other way to enter is a little more fun, but i'm too chicken for it. if you don't already have the shazam app on your phone, download it - it's free! 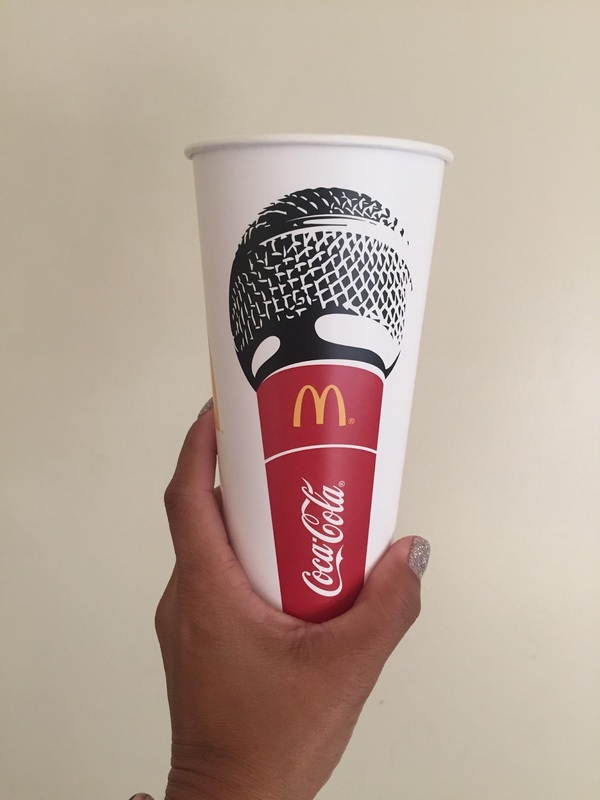 - and then use the app to scan the microphone on your mcdonald's coke cup. choose one of the songs on the list and record a quick video of yourself karaoke-ing the hell out of it and submit it. you're done! i'm not personally going this route because - well, if you've ever heard me sing you'll get it. now, i'm a little late in the game because i was gone and didn't realize this was going on. the contest started a little while ago and there isn't much time left to enter - you have till august 1st to post your photo or video online to win. 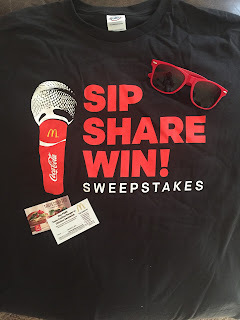 i, however, have some other fun prizes that mcdonald's was nice enough to send my way to give out to you guys. see that t-shirt i'm wearing? and the sunglasses? i would love to send some of those out to you, and if you're in soCA, i'll toss in a couple of coupons for a free mcdonald's taste crafted burger or chicken sandwich. if you want to win, post your photo entry on twitter or instagram and link back to this post along with the hashtags i listed above, then comment on this post with your twitter or instagram handle. i'll send a t-shirt and sunglasses to the first 6 commenters, and then i have 3 more pairs of sunglasses. and remember, if you're local to me in southern california, let me know and i'll send you those free sandwich coupons too. i've actually got quite a few pairs of coupons to give out, so post and comment away! and hey...if you happen to win that grand prize, i know someone who would LOVE to be your plus-one for the trip. heh.